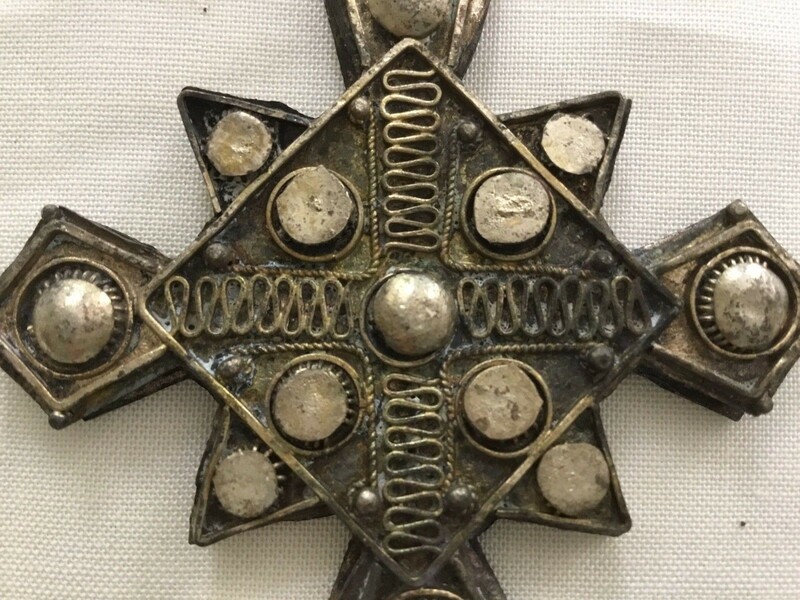 The most collector's Coptic cross in Ethiopian silver is a display of good craftsmanship. 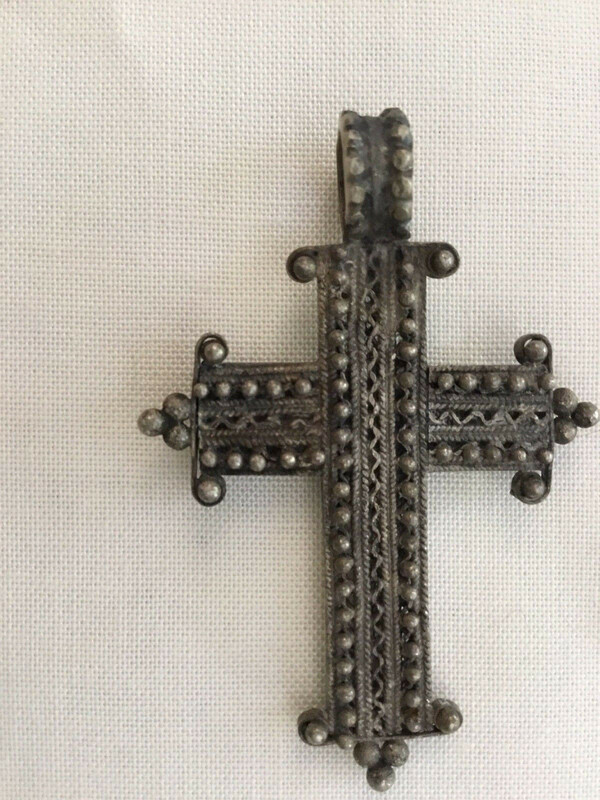 In Ethiopia particularly among Orthodox Church followers, to wear a cross implied to be protected by the lord himself as well as to show that they are a devoted Christian. 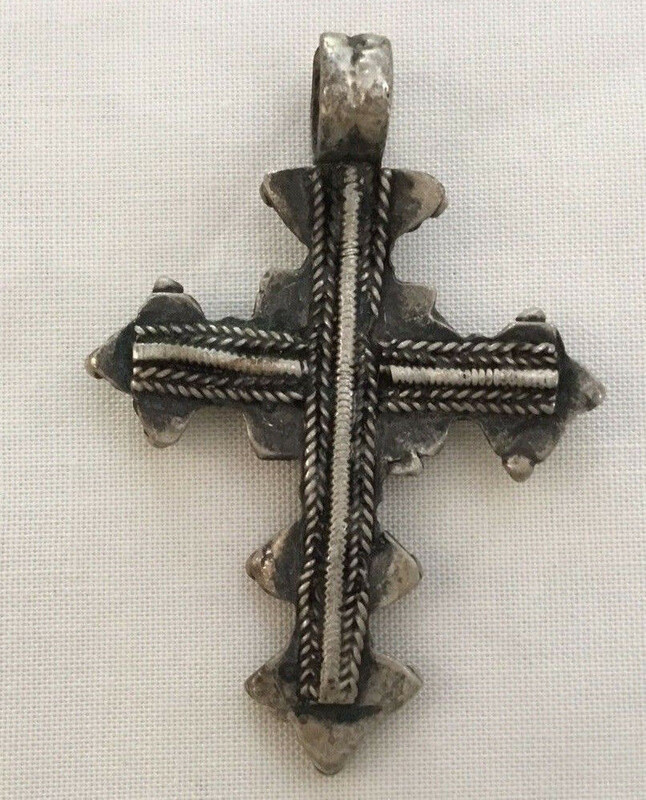 Neck or pictorial crosses are tied round their owner’s neck with a piece of blue thread or cord, which was sometimes given to the wearer at baptism. 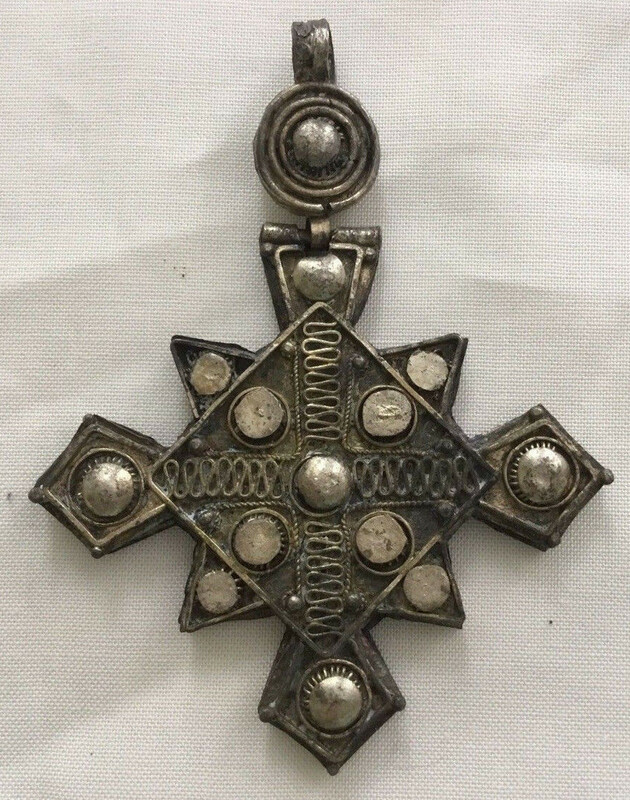 The most are old particular crosses and has been used. 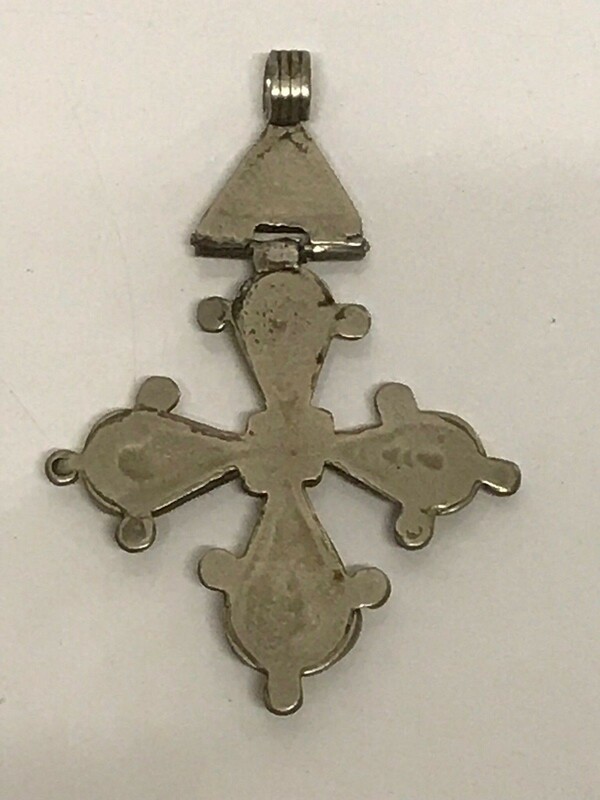 181049 - Old Ethiopian Coptic Handmade Neck Cross 19th cent. 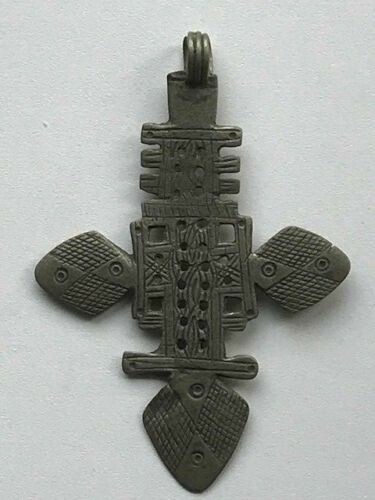 Ethiopia: Old 19 th century Ethiopian Coptic Handmade Neck Cross. 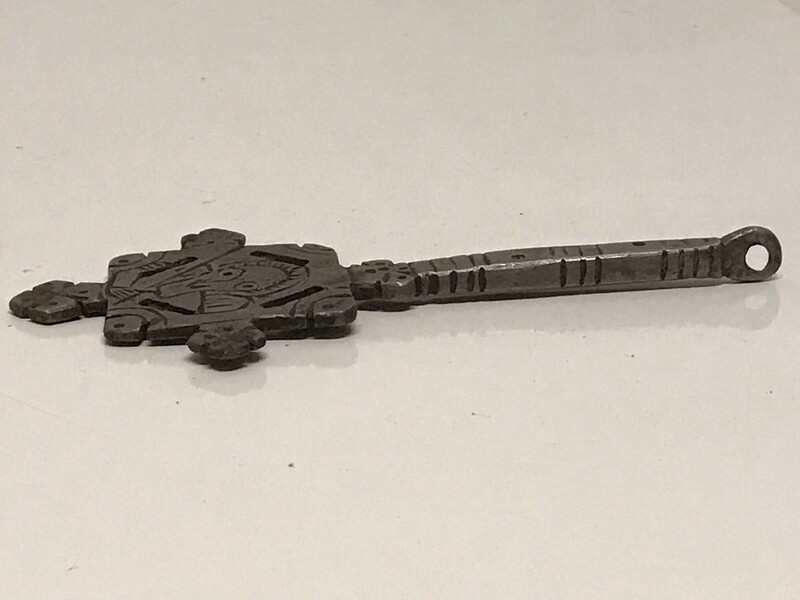 Size : 8.0 cm long. 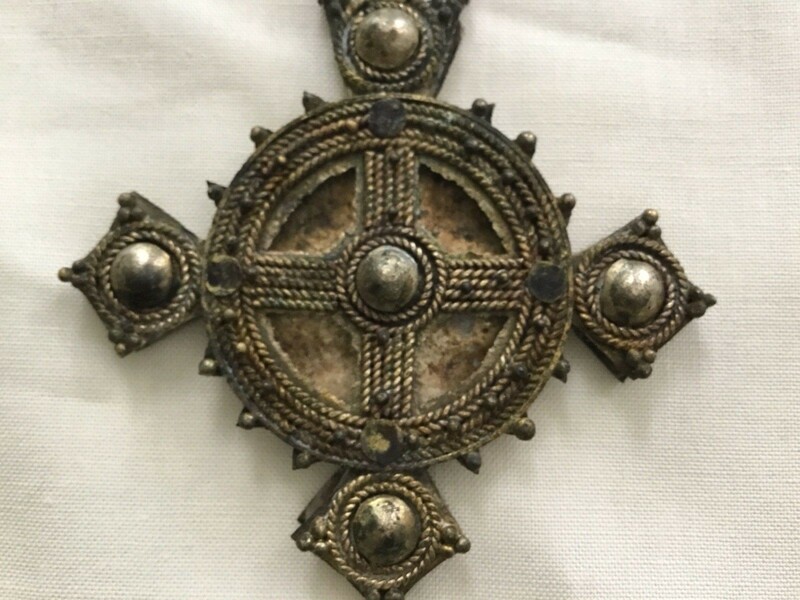 181048 - Old Ethiopian Coptic Handmade Neck Cross 19th cent. 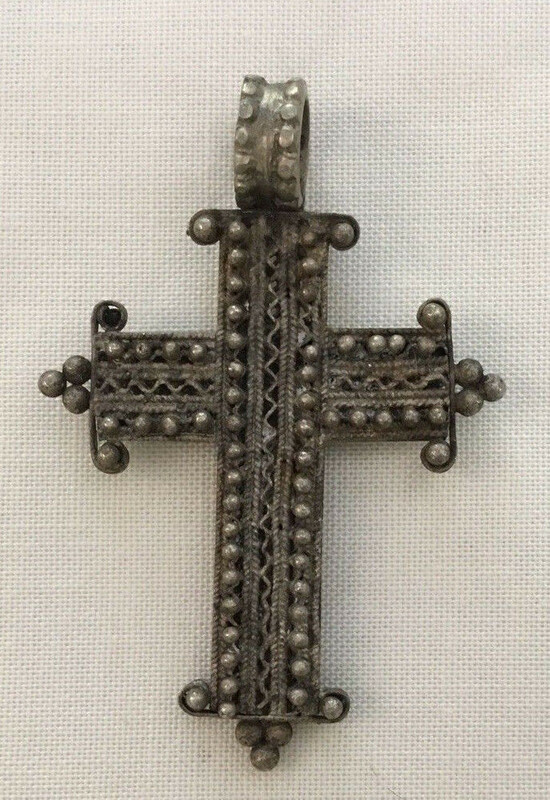 Size : 8.7 cm long. 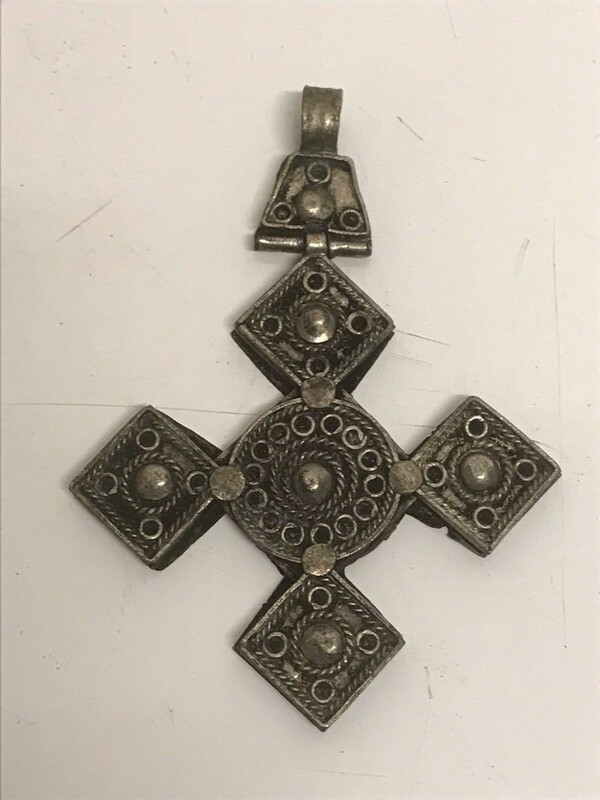 181047 - Old Ethiopian Coptic Handmade Neck Cross 19th cent. 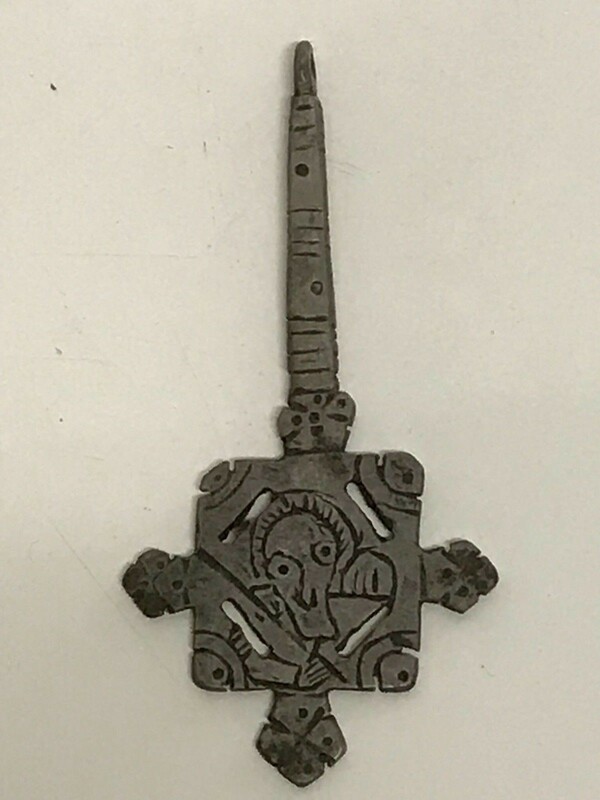 Size : 5.8 cm long. 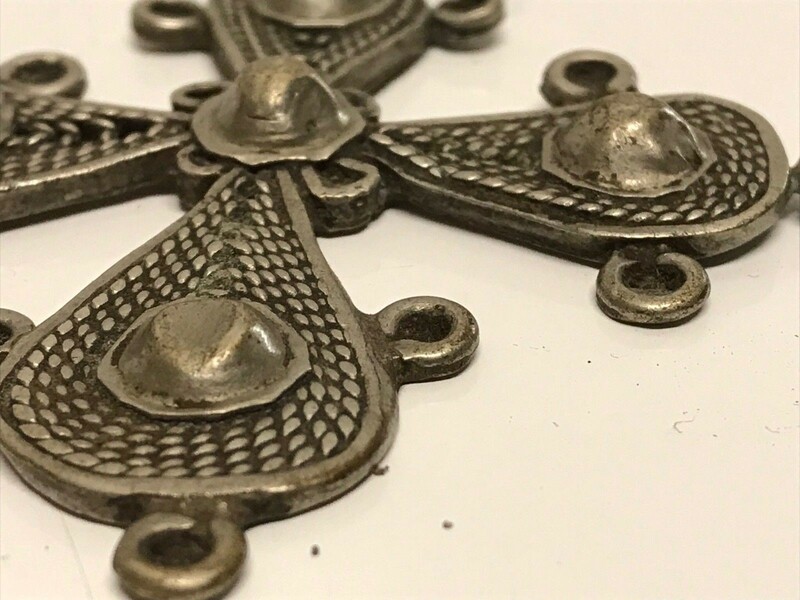 This is a very beautiful Filigree old handmade Ethiopian cross pendant made of Ethiopian silver done by highly skilled silversmith. 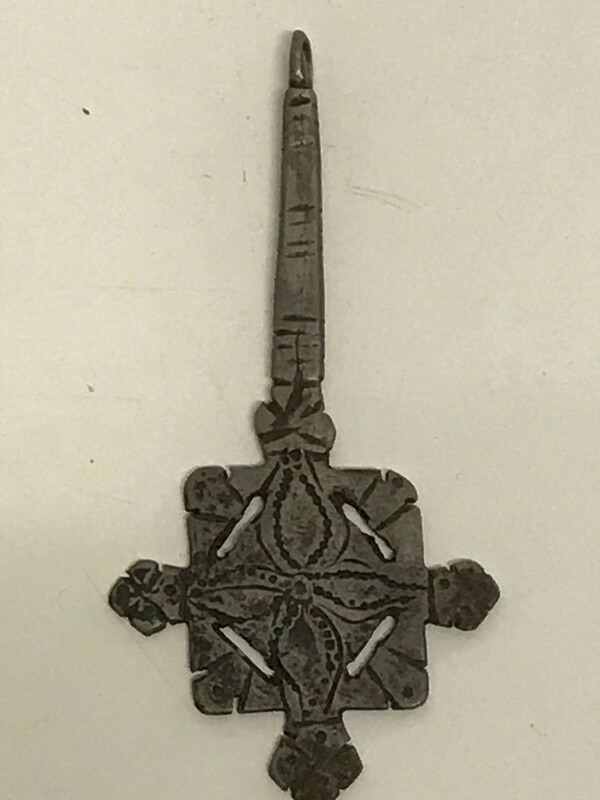 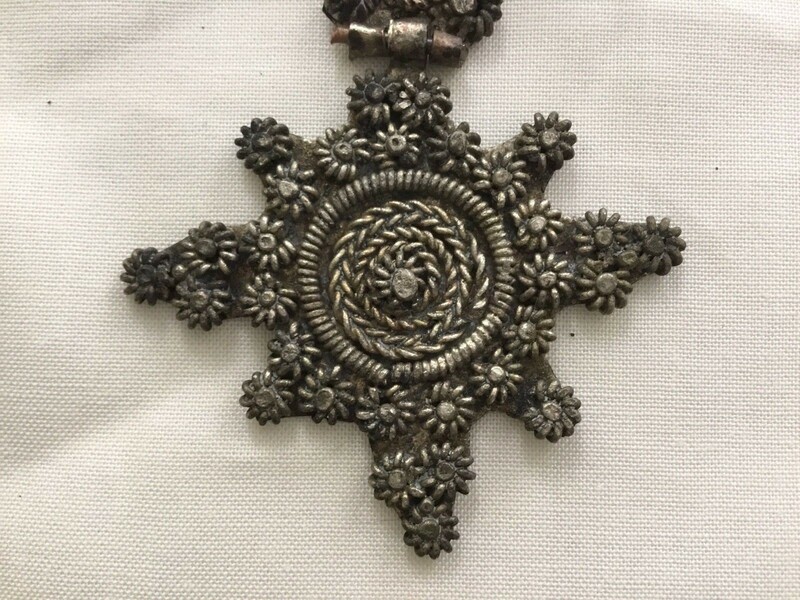 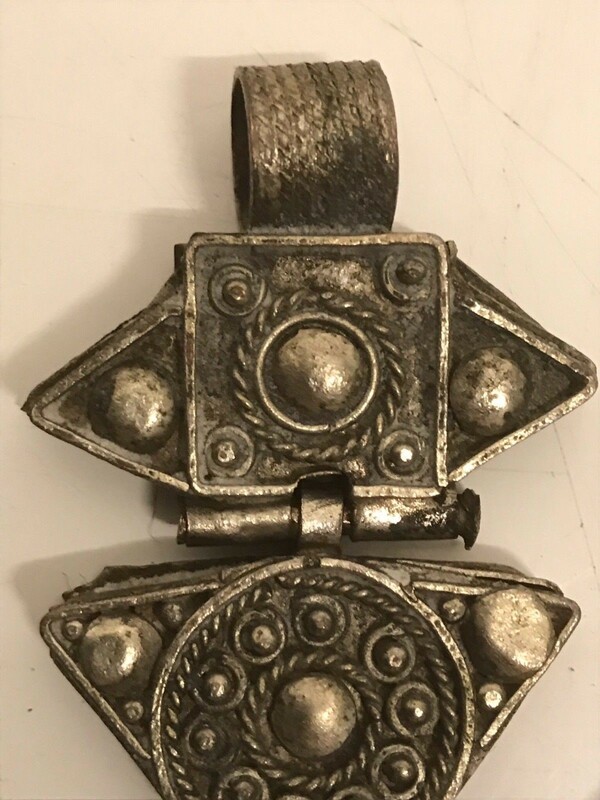 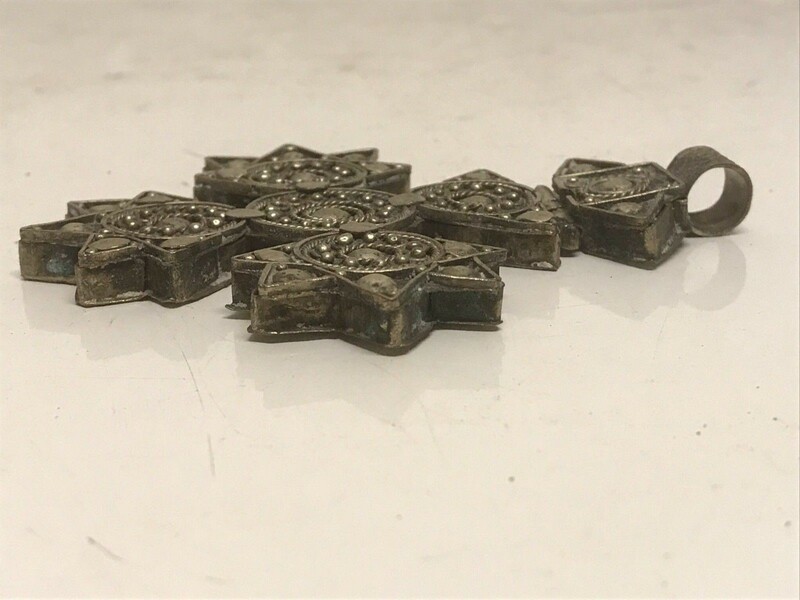 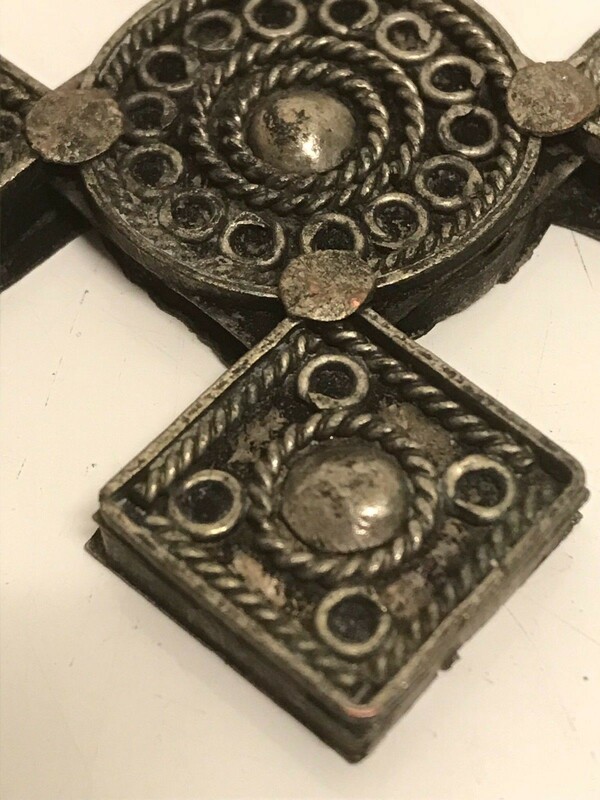 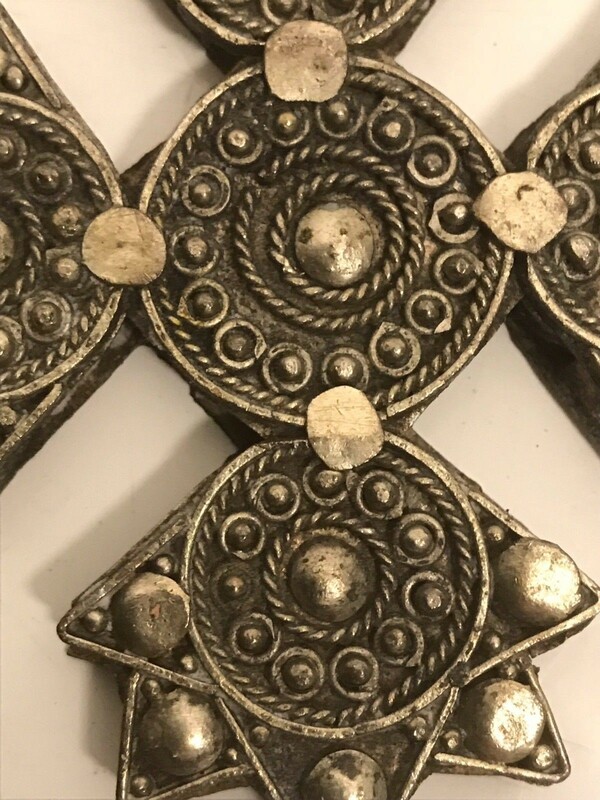 180548 Old Ethiopian Coptic Handmade iron Neck Cross 18th cent. 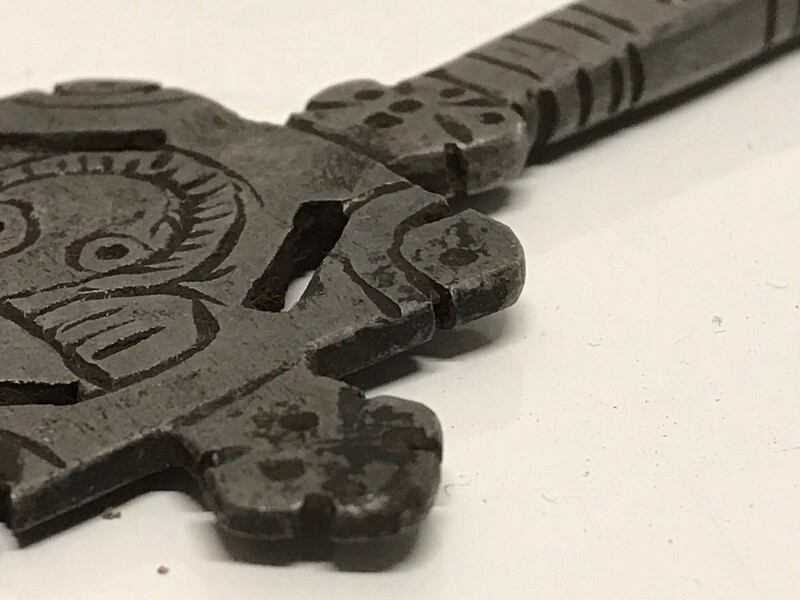 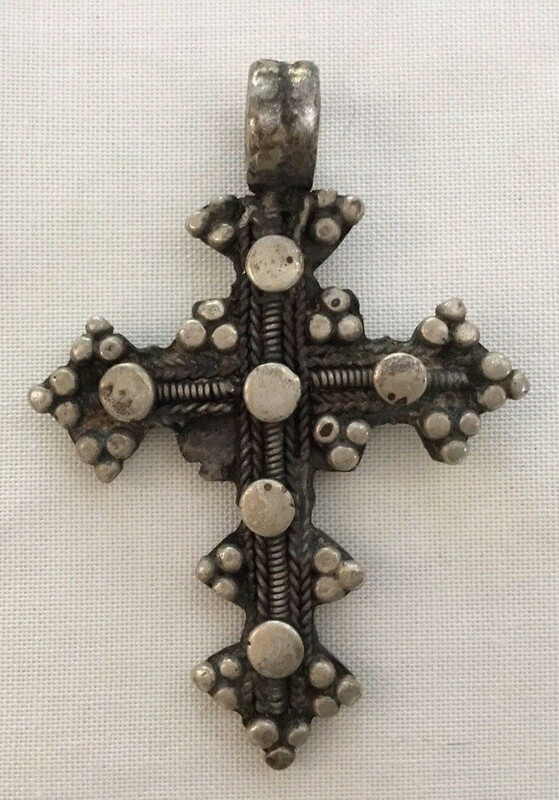 Old 18th century Ethiopian Coptic Handmade iron Neck Cross from North Ethiopia. 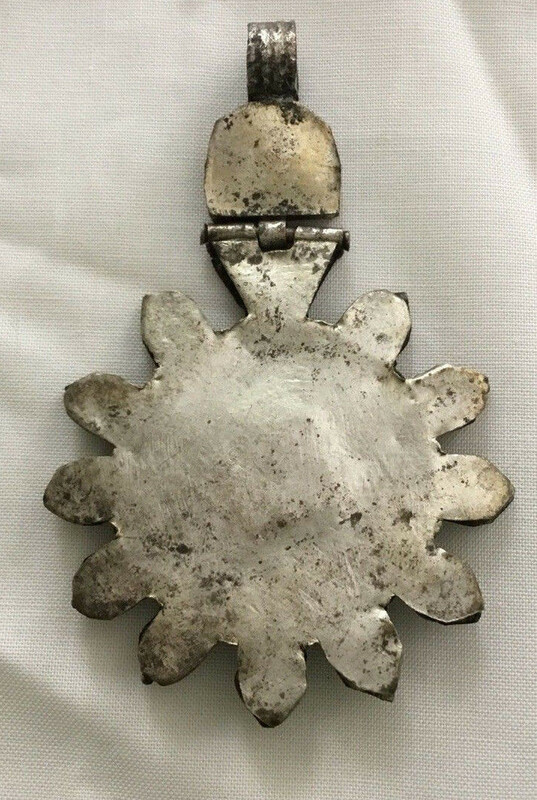 Size : 11 cm long and more then 300 years old. 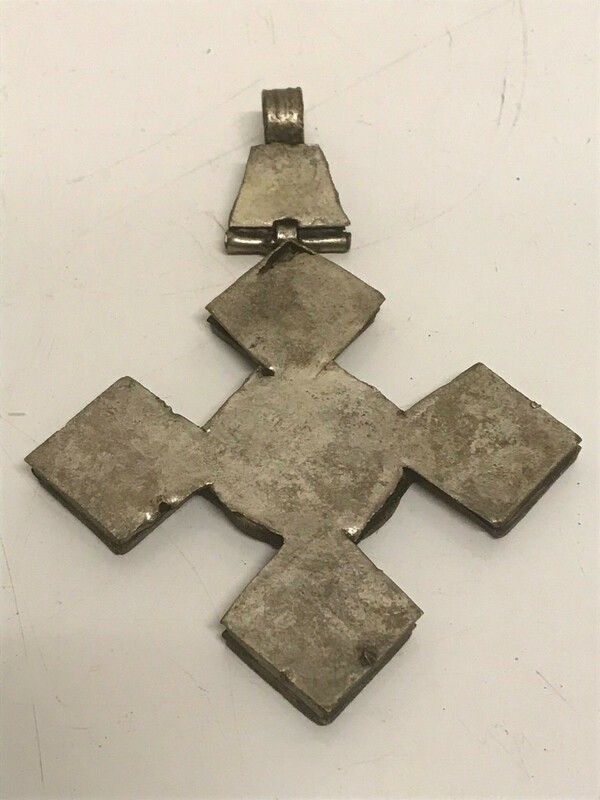 180549 - old Ethiopian Coptic Handmade Neck Cross. 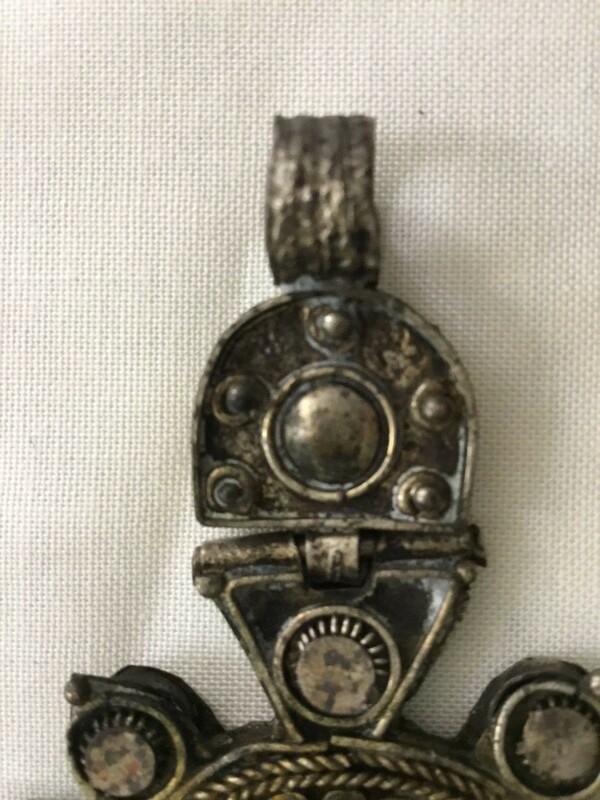 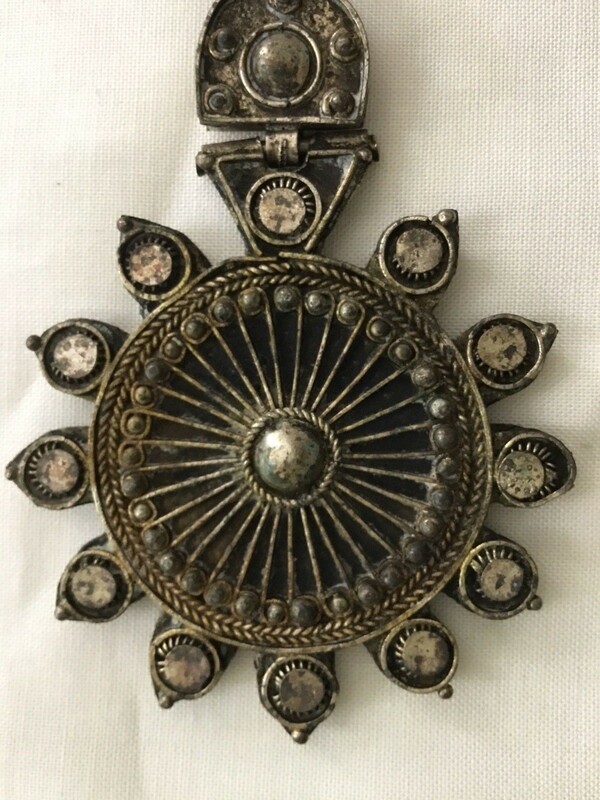 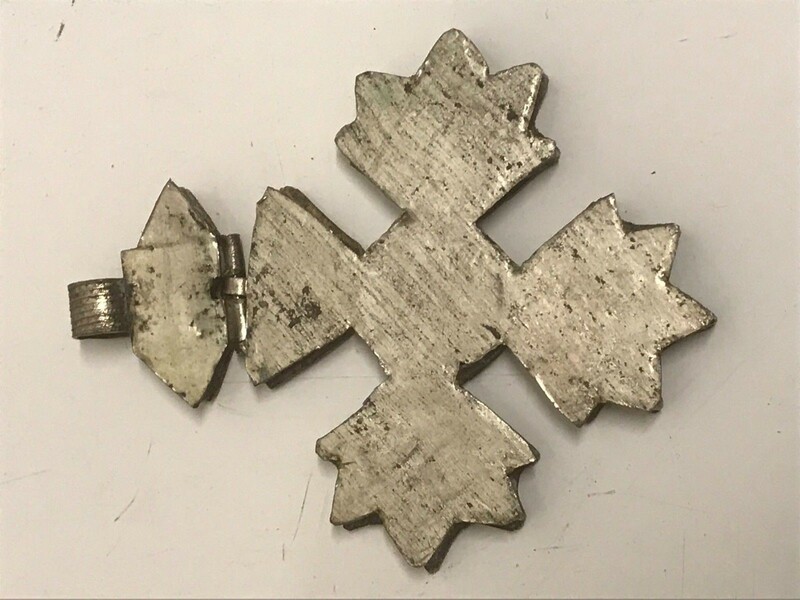 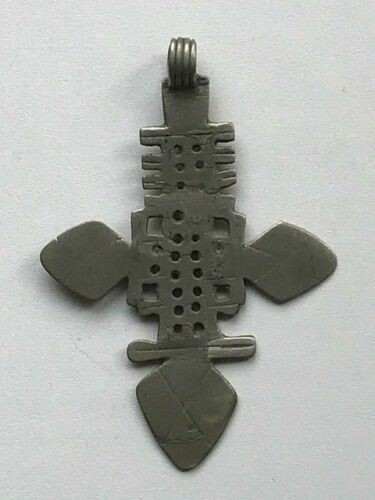 Ethiopia: old Ethiopian silver aloy Coptic Handmade Neck Cross. 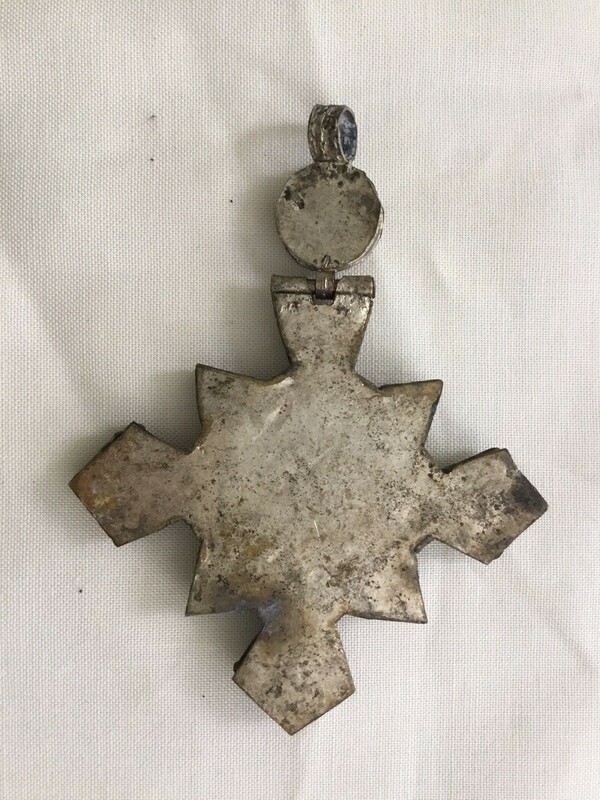 Size : 9 cm long. 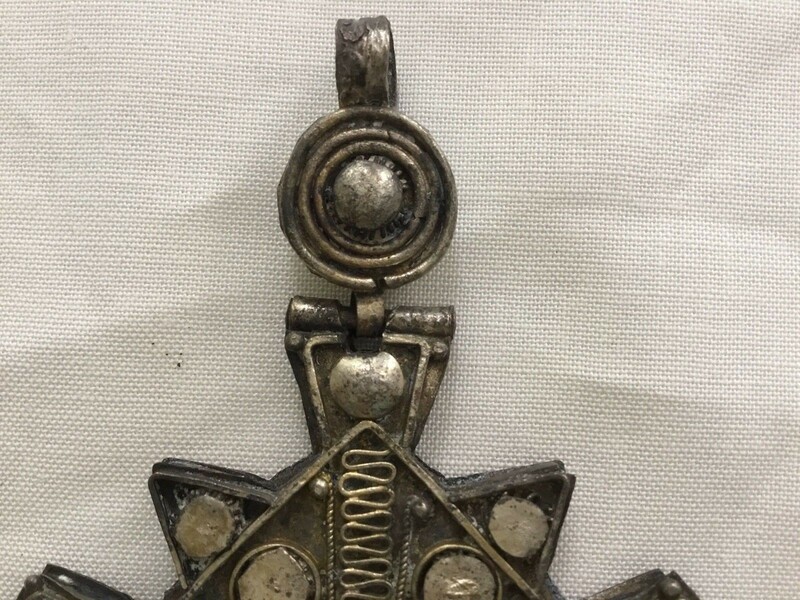 180508 - Old Ethiopian Coptic Handmade Neck Cross 19th cent. 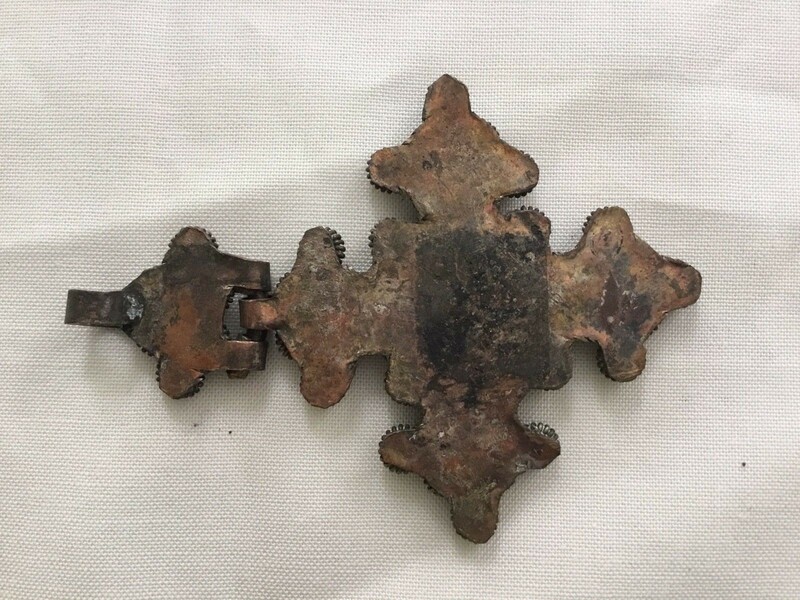 Size : 8.6 cm long and 6.4 cm wide. 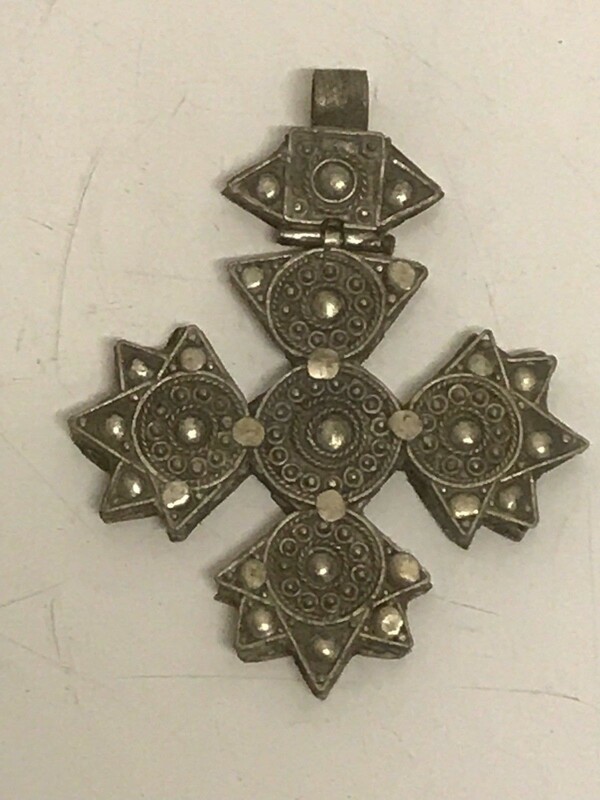 180507 - Old Ethiopian Coptic Handmade Neck Cross 19th cent. 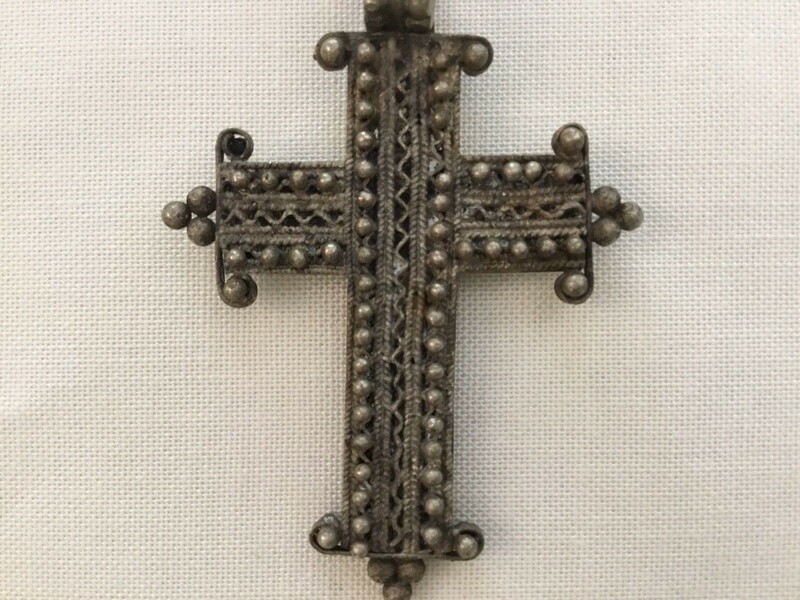 Old 19 th century Ethiopian Coptic Handmade Neck Cross. 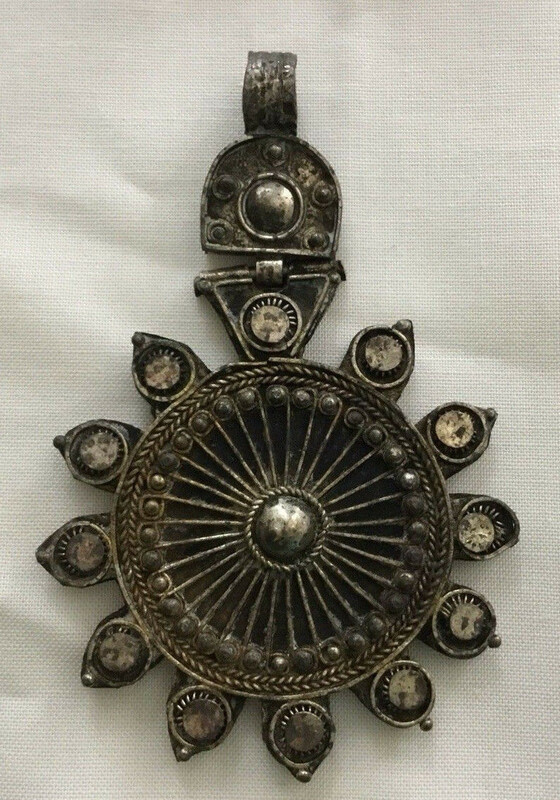 Size : 10. 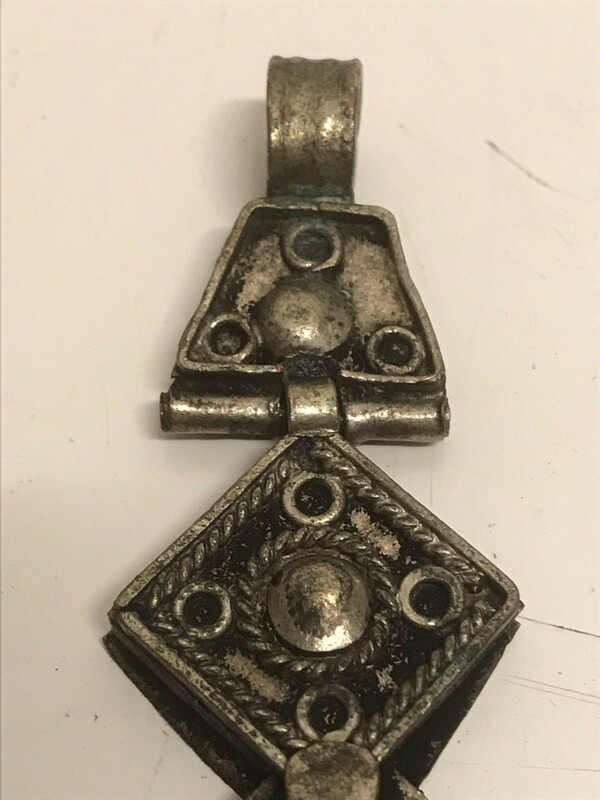 2 cm long and 8.2 cm wide. 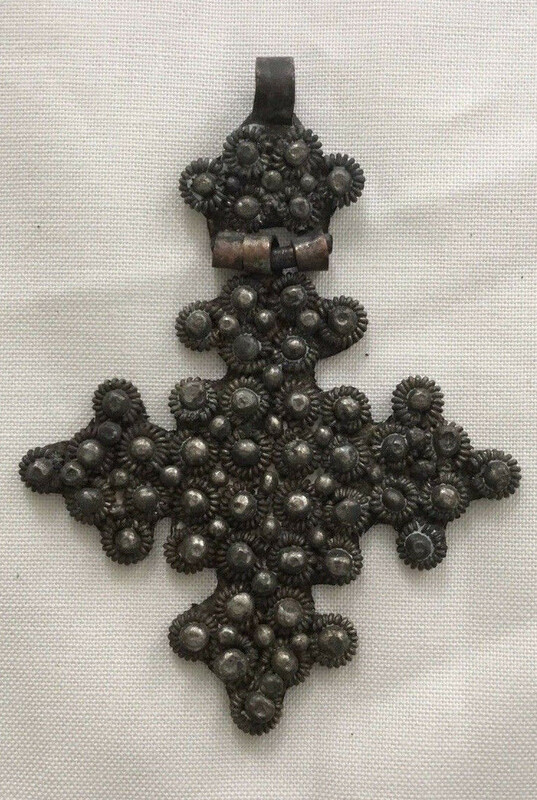 Old 19th century Ethiopian Coptic Handmade Neck Cross. 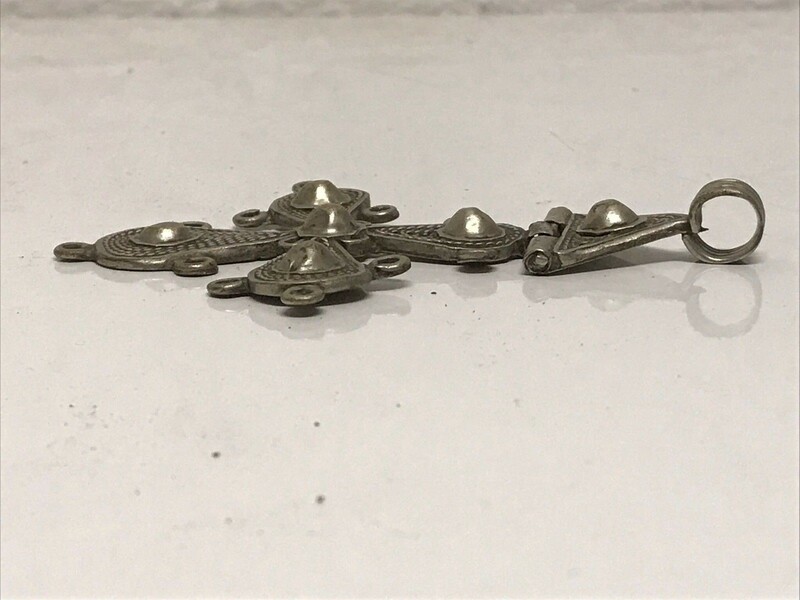 Size : 9.5 cm long and 6.5 cm wide. 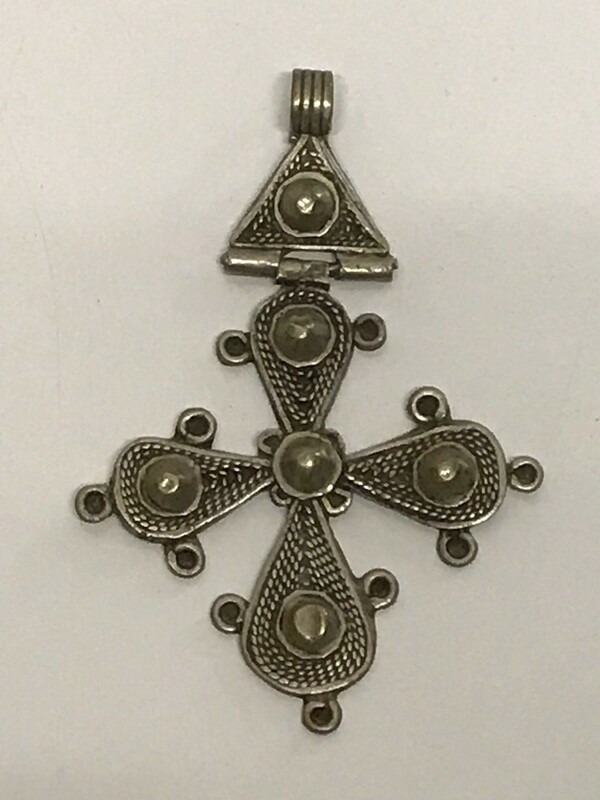 181012 - Begin 19th century Ethiopian old Coptic Handmade Neck Cross. 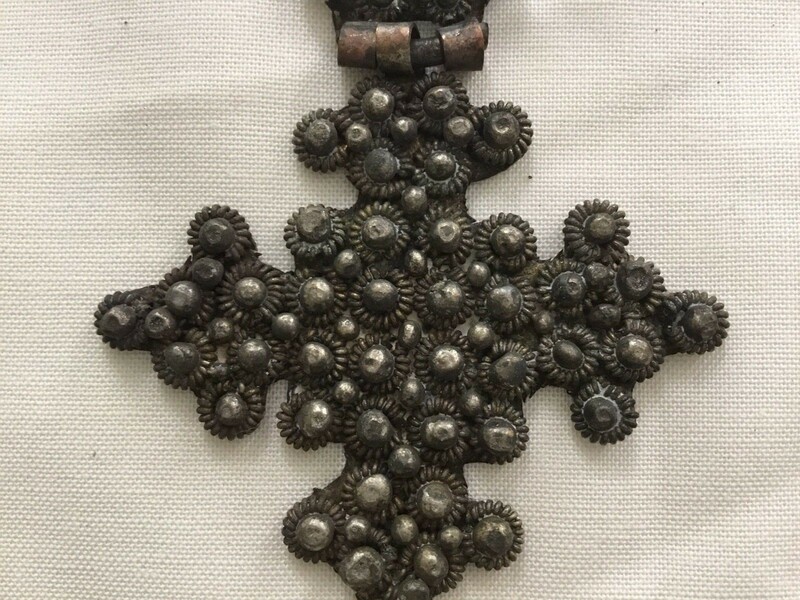 Ethiopia: Very Rare Begin 19th century Ethiopian old Coptic Handmade Neck Cross. 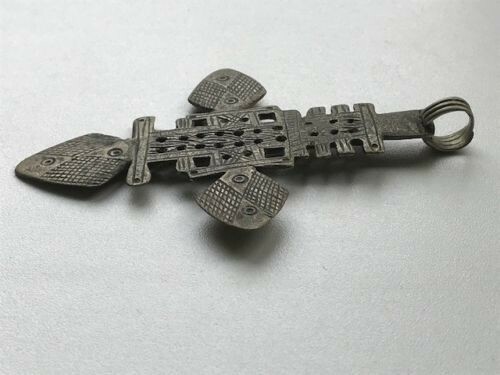 Size : 6.3 cm long and almost 200 years old. 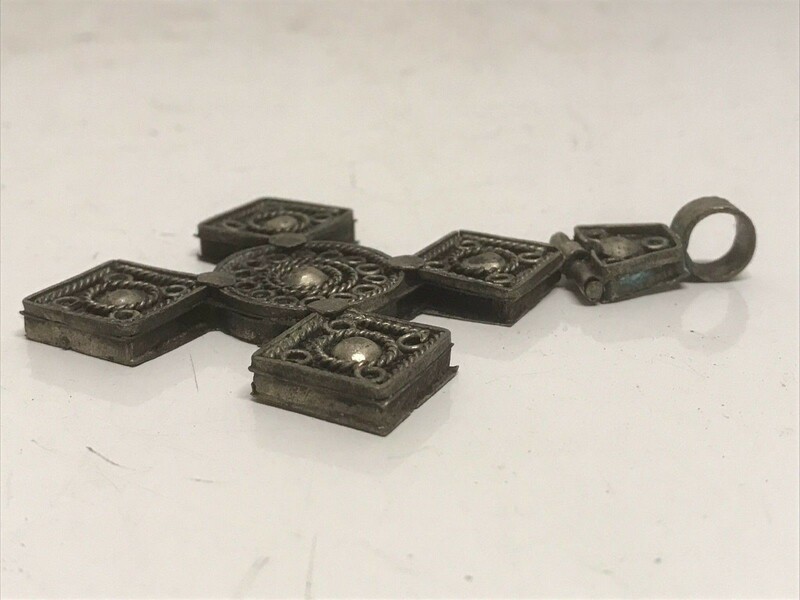 181013 - End 19th century Ethiopian old Coptic Handmade Neck Cross. 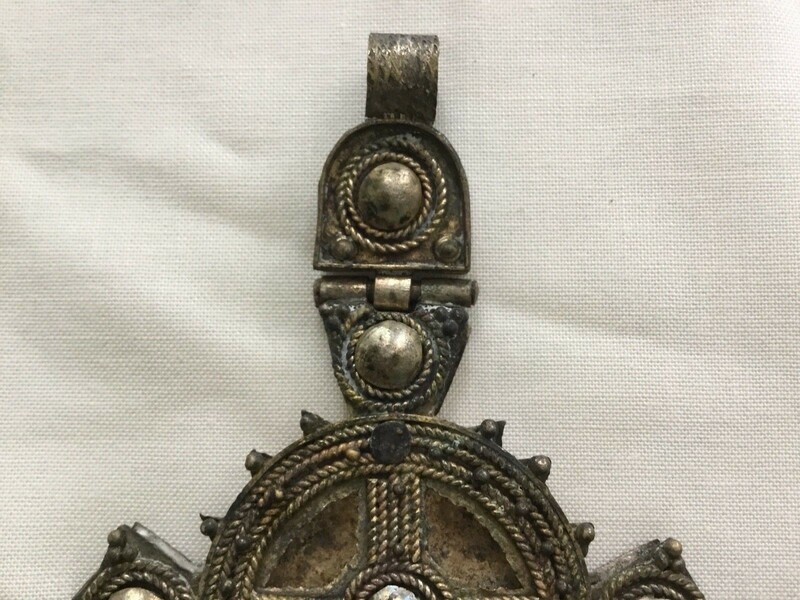 Ethiopia: Very Rare end 19th century Ethiopian old Coptic Handmade Neck Cross. 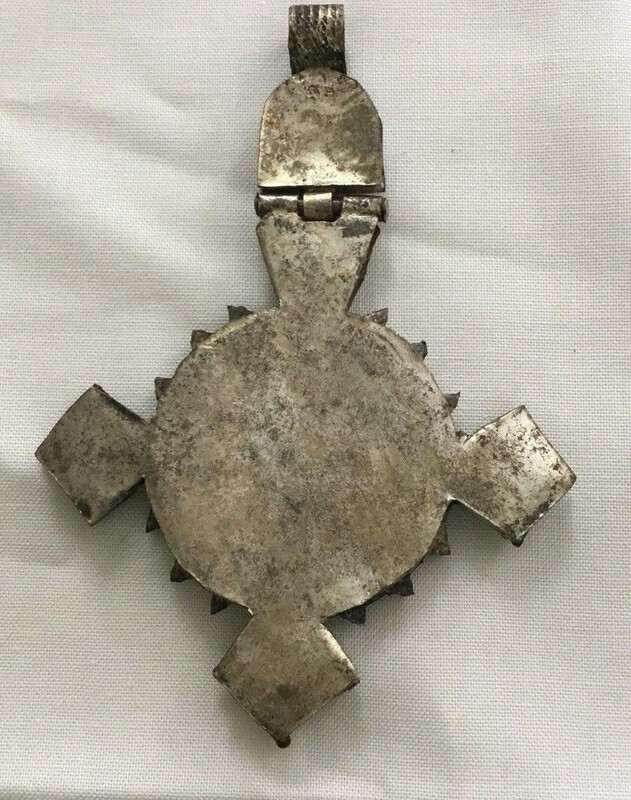 Size : 7.6 cm long and about 125 till 150 years old. 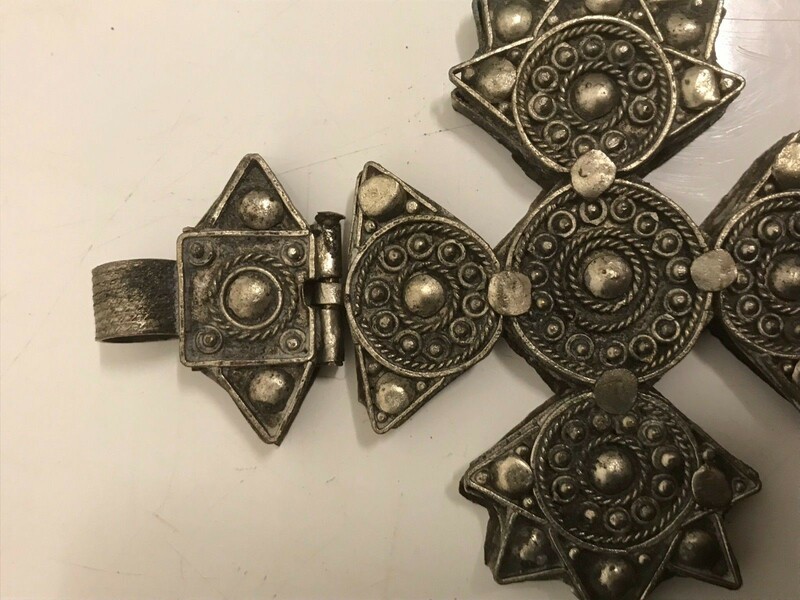 181051 - Old Ethiopian Coptic Handmade Neck Cross 19th cent. 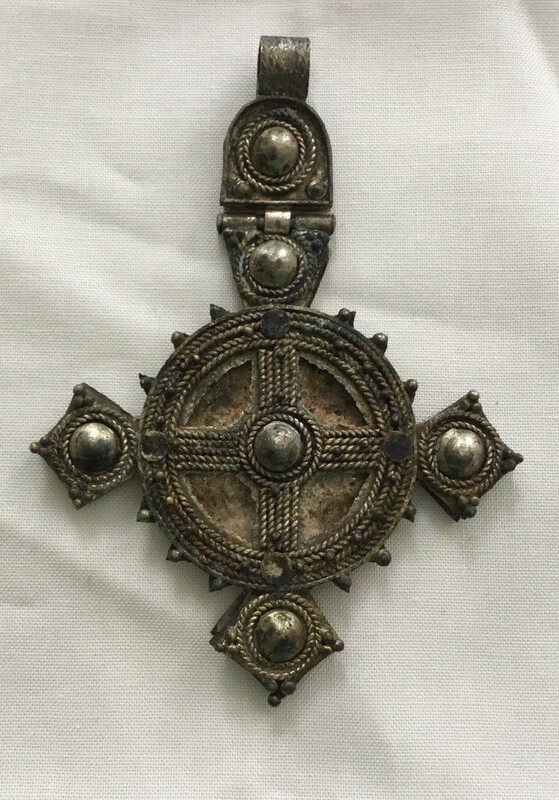 Size : 9.0 cm long. 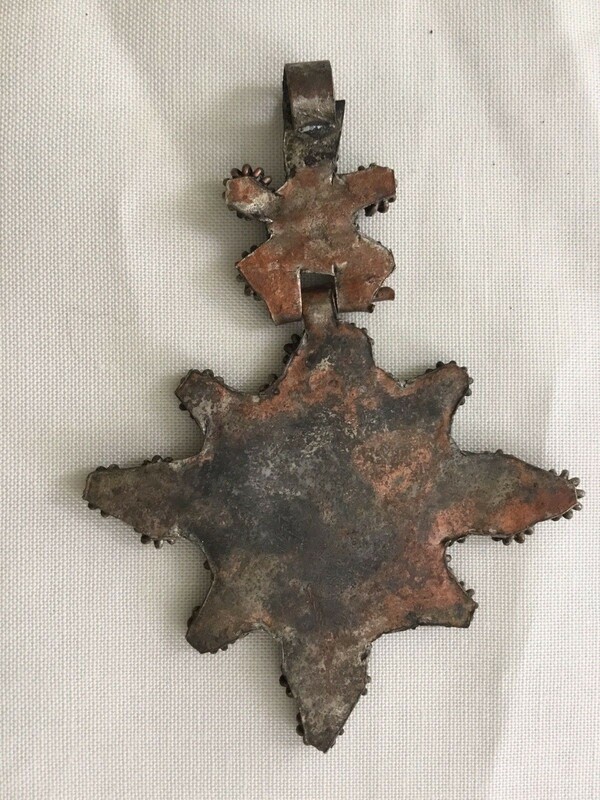 181050 - Old Ethiopian Coptic Handmade Neck Cross 19th cent. 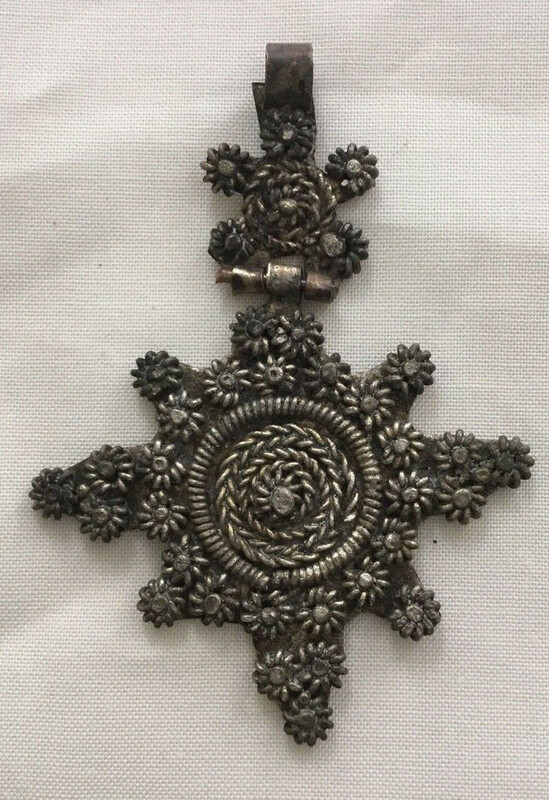 Size : 9.8 cm long.